This program is maintained by Tencent Holdings Limited, owned in part by Naspers. Tencent was founded in Shenzhen, China in 1998. QQ.com is the most popular free instant messaging computer program in mainland China. In 2011 the active QQ users accounts for QQ IM totaled 812.3 million, possibly making it the worlds second largest online community. QQ allows free registration for membership, but it does offer a premium scheme for additional services. In 2009 QQ began to expand it services internationally, with its IMQQ Portal, working with partners throughout Asia and USA. 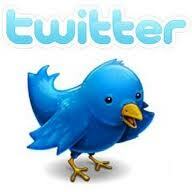 Twitter was created in 2006 by Jack Dorsey. Twitter Inc. that operates the service and associated website is located in San Francisco, California USA. Twitter is an online social networking and micro-blogging service that enables its users to send and read text-based posts of up to 140 characters informally known as “tweets”. Twitter has over 300 million users, generating over 300 million tweets and handling over 1.6 billion search quiries per day. “Tweets” are publicly visible by default, however senders can restrict message delivery to just their followers. Users can tweet via Twitter website, compatible external applications or by short message service (SMS). 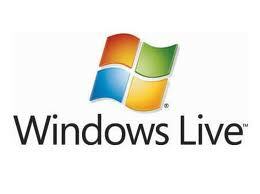 Windows Live is owned by Microsoft, which was founded by Bill Gates and Paul Allen. Microsoft has its headquarters in Redmond, Washington USA. Windows Live was first announced in 2005. It is the collective brand name for a set of services and software products from Microsoft. A majority of their services are web applications, accessible from a browser, but there are also client-side binary applications that require installation. Microsoft has said that “Windows Live is a way to extend the Windows experience”. In 1999 Blogger was launched by Pyra Labs, as one of the earliest dedicated blog-publishing tools. It is credited for helping to popularize the format. Pyra Labs was acquired by Google in 2003. 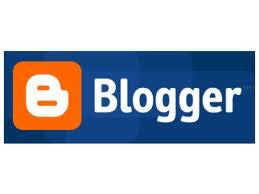 Blogger is a blog-publishing service that allows private or multi-user blogs with time stamped entries. The blogs are hosted by Google at a subdomain of blogspot.com. A key advantage for users of blogger.com is versatility and bloggers are not limited in the amount of traffic or storage their blogs generate. 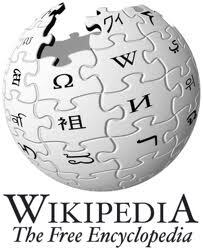 Wikipedia was launched in 2001 by Jimmy Wales and Larry Sanger. Wiki is a free web-based, collaborative, multilingual encyclopedia. The project is supported by the non-profit Wikimedia Foundation. Its 20 million articles have been written collaboratively by volunteers around the world. Almost all the articles can be edited by anyone with access to the site and it has about 100,000 regularly active contributors. There are editors of Wikipedia in 282 languages and it has become the largest and most popular general reference work on the internet. It is estimated that Wikipedia receives 2.7 billion monthly page views from the US alone. Baidu, Inc (pronounced By-doo in English) was formed in 2000 by co-founders Robin Li and Eric Xu. Both co-founders studied and worked overseas before returning to China. The headquarters are located in Haidian District, Beijing China. Baidu offers many services, including a Chinese language search engine for websites, audio files and images. In 2007 Baidu became the first Chinese company to be included in the NASDAQ-100 index. 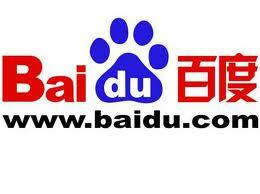 Baidu provides an index of over 740 million web pages, 80 million images and 10 million multi-media files. 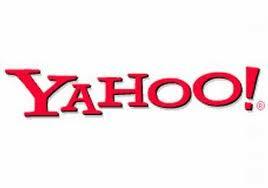 Yahoo Inc. is an American multinational internet corporation, headquartered in Sunnyvale, California USA. Yahoo! was founded by Jerry Yang and David Filo in 1994 and was incorporated in 1995. The company is perhaps the best known for its web portal, search engine, Yahoo! Directory, Mail, Yahoo! News, advertising, Yahoo! Maps, video sharing and social media websites and services. Roughly 700 million people visit Yahoo! websites every month. Yahoo! is known across the world with its multi-lingual interface. The site is available in over 20 languages including English. Youtube is a video-sharing website created by three former Paypal employees in 2005. The company is based in San Bruno, California USA. 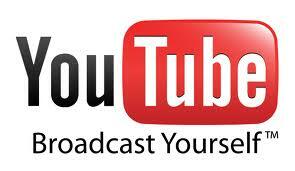 In 2006 Youtube LLC was bought by Google Inc. for $1.65 Billion and now operates as a subsidiary to Google. Youtube uses Adobe Flash video and HTML5 technology to display a wide variety of user-generated video content, including movie clips, TV clips and music videos, as well as amateur content such as video blogging and short original videos. Unregistered users may watch videos, and registered users may upload an unlimited number of videos. Facebook was co-founded by Mark Zuckerberg. The websites membership was initially limited to Harvard University students but gradually became available to the wider public. The website launched in 2004 and is operated and owned by Facebook Inc. with its headquarters located in Palo Alto, California USA. Facebook is a social networking service. Users must register before using the site, after which they may create a personal profile, add other users as friends, and exchange messages, including automatic notifications when they update their profile. In September 2011 Facebook had over 800 million active users. Most of Facebook’s revenue comes from advertising. Google Inc. was first incorporated as a privately held company in 1998. The company was founded by Larry Page and Sergey Brin while the two were attending Stanford University. The Google headquarters are located in Mountain View, California USA. Google has been estimated to run over a million servers in data centers around the world and processes over one billion search requests every day. Ninety-nine percent of Google’s revenue is derived from its advertising programs. Google search, a web search engine, is the company’s most popular service. Google has many other services and features that make this company the #1 most visited website.